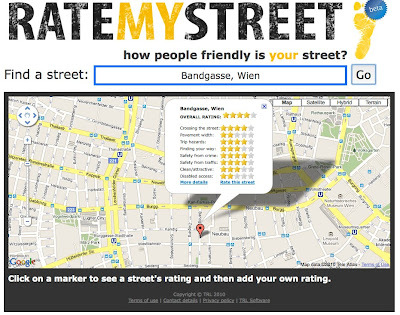 Here’s my street in Vienna rated on Rate My Street. 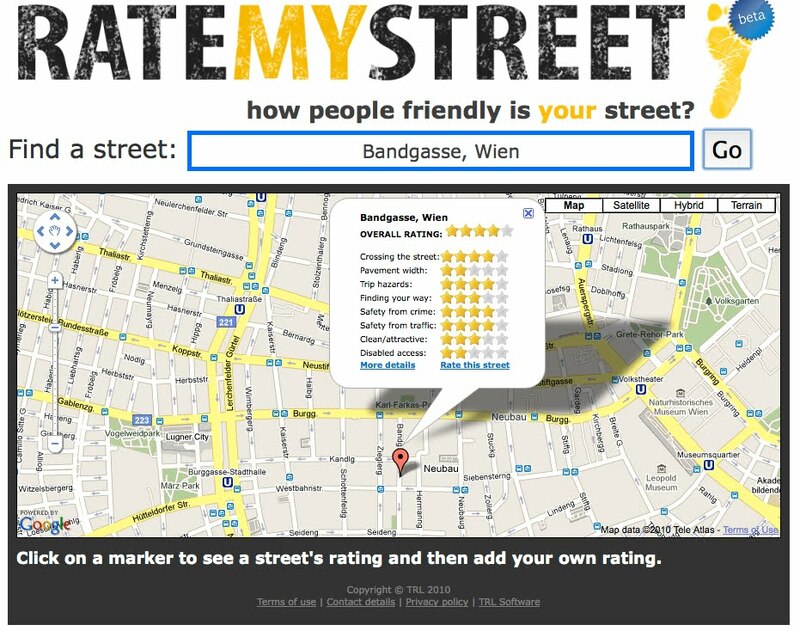 Just found a cool new website called Rate My Street that allows you to rate your street according to several criteria. It was developed in the United Kingdom, but since it uses Google Maps as a base you can rate any street anywhere. The ultimate goal of my Bus Meister project (GreenCityStreets.com) is to develop a similar application that helps city residents use an internet application to help identify, plan and support public transport priority measures that improve the attractiveness and efficiency of public transport routes they use every day. I’m struggling to finish a proposal right now … more later!